Xiaomi has announced that it will launch Redmi Y3 in India on April 24. Xiaomi has been teasing the Y-series phone for a while now and is building it up to be a budget camera phone capable of clicking high resolution selfie pictures. The device is expected to come with a 32-MP front camera that will let users capture selfies with more details. Y should selfies be less detailed? Y canâ€™t we change the way we look at them? As per the tweet sent out by Redmi India, the company said that it would launch the Redmi Y-series on April 24. The company has also sent out media invites, which states that the Redmi Y-series' launch event will start at 12:00pm IST. The invite also has a hashtag "#32MPSuperSelfie" hashtag indicating that the new Y-series will be all about the camera. Previously, Redmi Y1 and Redmi Y2 were both selfie centric phones. Redmi Y3's teaser also shows that the phone will come with a Redmi Note 7 style notch. Taking a cue for the Redmi Note 7, the Redmi Y3 is also expected to have AI features. As far as the camera sensors are concerned, Redmi Y3 will come with Samsung's 32-megapixel ISOCELL Bright GD1 image sensor. The sensor was first announced in October 2018 and is capable enough to process good images. The smartphone will also pack a large battery that will last longer. The battery capacity, however, hasn't been revealed but rumours suggest that the phone could come with a massive 4000 mAh battery. 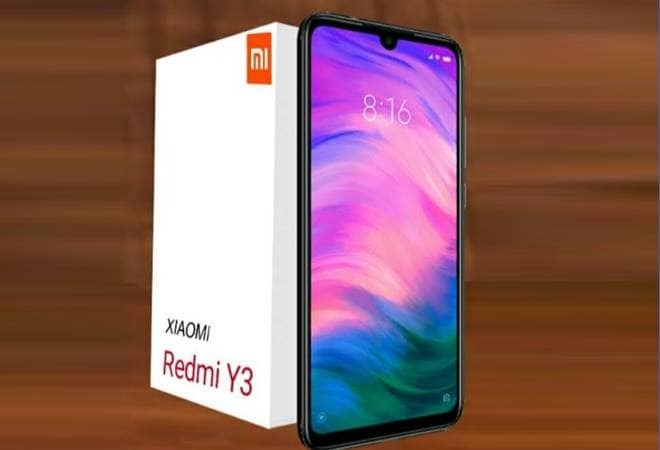 The previous version of Redmi Y3, Redmi Y2 had a 5.99-inch full-screen display with 1440x720p resolution and 18:9 aspect ratio. The Y2 smartphone also came with Qualcomm Snapdragon 625 processor paired with up to 4GB RAM and 64GB storage which was expandable to 256GB via microSD card. The Redmi Y2 3GB RAM and 32GB storage model currently sells for Rs 8,999. The 4GB RAM and 64GB storage model of the phone can be bought for Rs 10,999. The pricing details of Redmi Y3 haven't been revealed yet but the expectations are that the lower RAM variant of the Redmi Y3 would be priced below Rs 10,000.